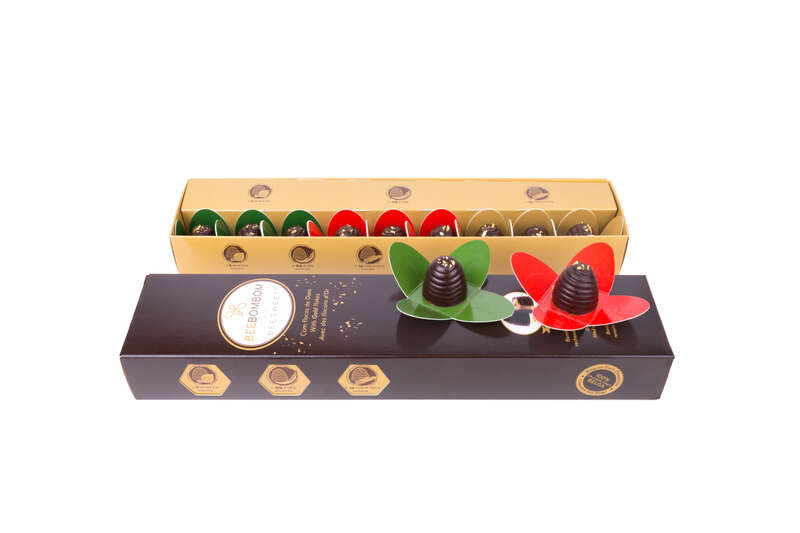 Delicious Belgian dark chocolate bonbon, stuffed with 3 types of flavored honey by Beesweet. 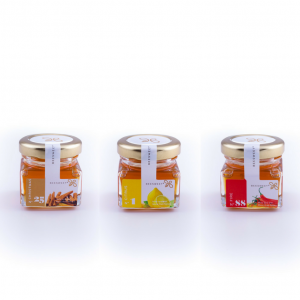 The Beebombom by Beesweet is a bombom filled with unique flavoured nectar with edible gold, exclusively created by Beesweet. 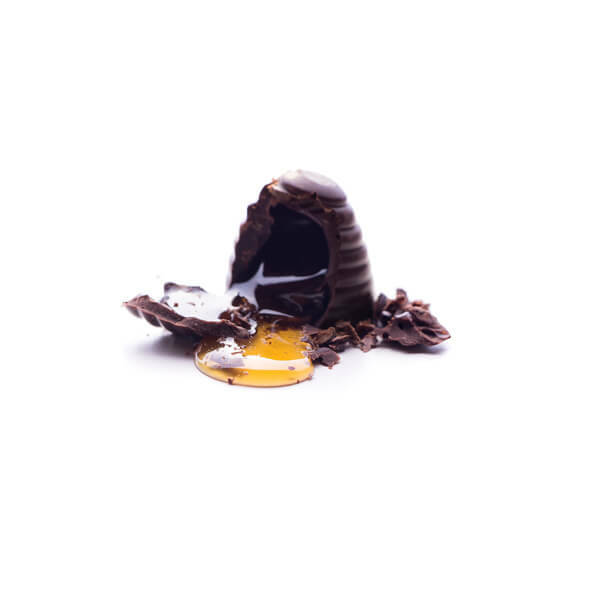 Specially designed to surprise the richest taste, this Belgian dark chocolate bombom contrasts deliciously with the traditional “Honey”. Since the most intensively flavoured nectar as the Nº 88 Fire, to the fresher and balsamic as Nº 5 Winter, each bombom causes an unforgettable experience of the senses. 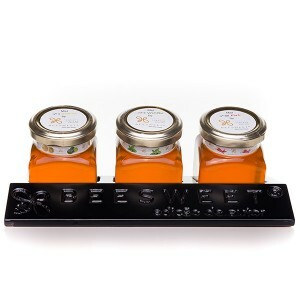 Dark chocolate – 62%, sugar, cocoa butter, emulsifier (soy lecithin, E476) and natural vanilla flavour, flavoured nectar (multifloral honey, herbs). It may contain traces of eggs and nuts. 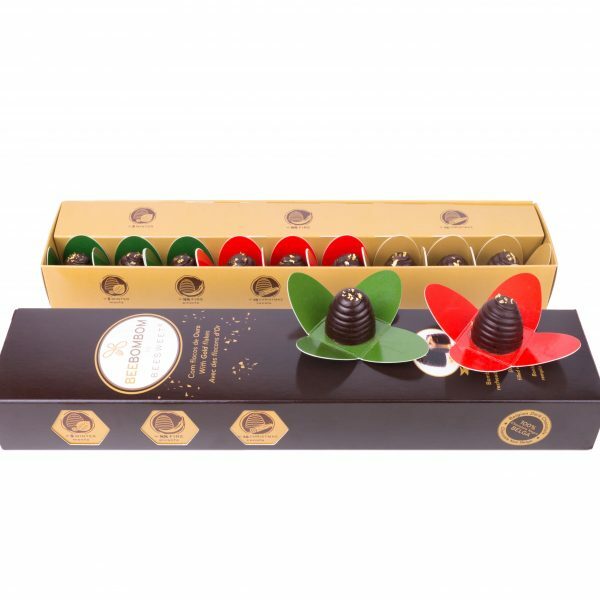 This exquisite box of 100g stuffed bonbons Beebombom by Beesweet, provides the experience to enjoy 3 unforgettable moments. A Bonbon filled with flavoured nectar, Nº 5 Winter – mint: the starting is an engaging creaminess which explodes in a sensation of expansive freshness and lightness. 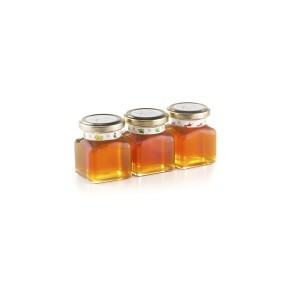 Its consumption takes us to energizing freedom of experiences, making us feel confident and passionately bold. A Bonbon filled with flavoured nectar, Nº 25 Christmas – cinnamon: talking about the most aromatic chocolate, this perfect marriage between black Belgian chocolate and “honey” with a touch of cinnamon, provides us tranquility and harmony. This Bonbon, takes us to nostalgic places of complicity. It prevails experiences of the festive seasons lived in the family. 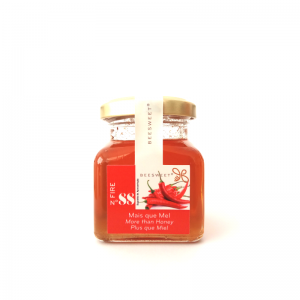 A Bonbon filled with flavoured nectar, Nº 88 Fire – spicy: get ready for a warm burst of flavour in your mouth, causing you ecstatic experiences and intense pleasure. 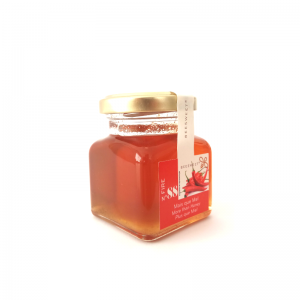 The taste in your mouth is full, fiery and sweet. 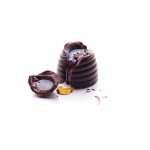 The exquisite black Belgian chocolate merges on the palate. 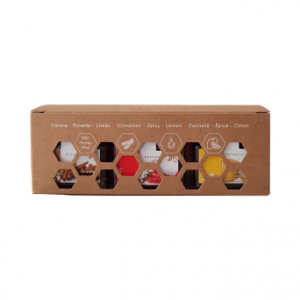 Each package comes with 9 Bombons – 3 from each flavour (cinnamon, spicy and mint).